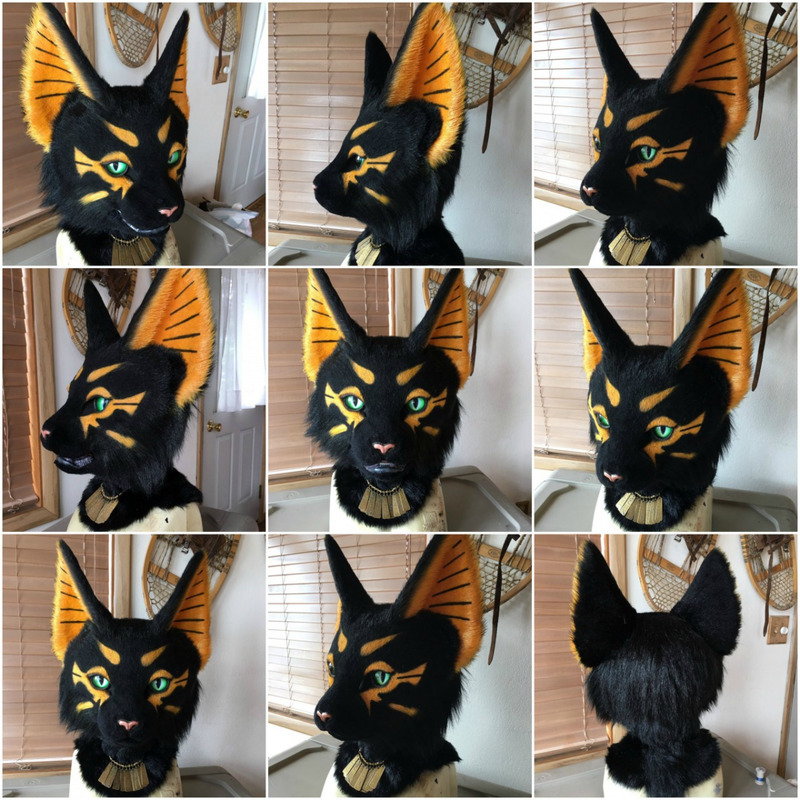 Look at this gorgeous head that's up for bid. I'm in love with this design. On the poll, I would say yes but ears and a tail aren't really a fursuit, are they? Take this with a grain of salt, because I can't find the source again, but I remember reading a review that said that Don't Hug Cacti suits aren't very good quality. 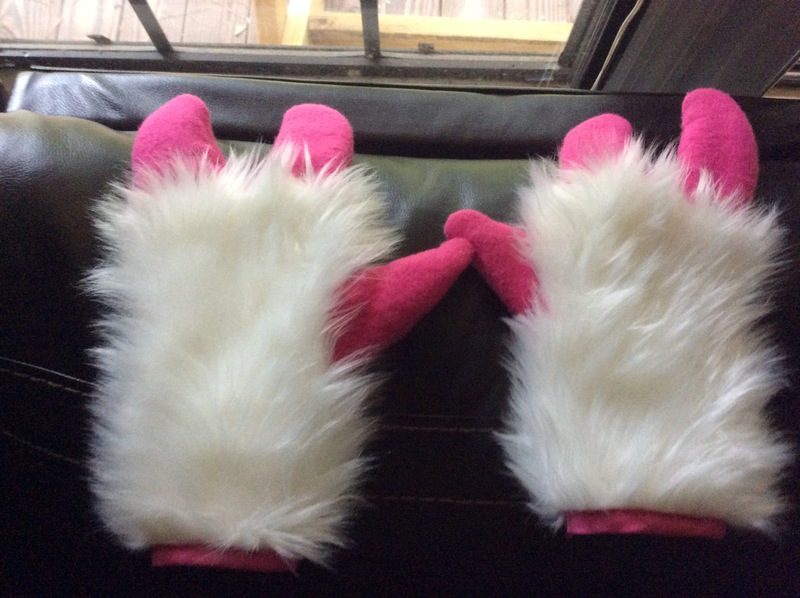 Supposedly the seams were tearing after one use, and the fur was stained and horrible quality. Maybe I just stumbled upon one bad review out of hundreds of good ones, but I'm still iffy on them. As far as I'm aware DHC actually had multilple bad reviews from bad customer service to bad quality suits that only looked good. This was years ago though, Idk how their suits or customer service is now. I know I like the look or their suits more nowadays but their influx of bad reviews left a bad taste in my mouth, at least at the moment. Always look at reviews for your makers, more recent ones are even better. 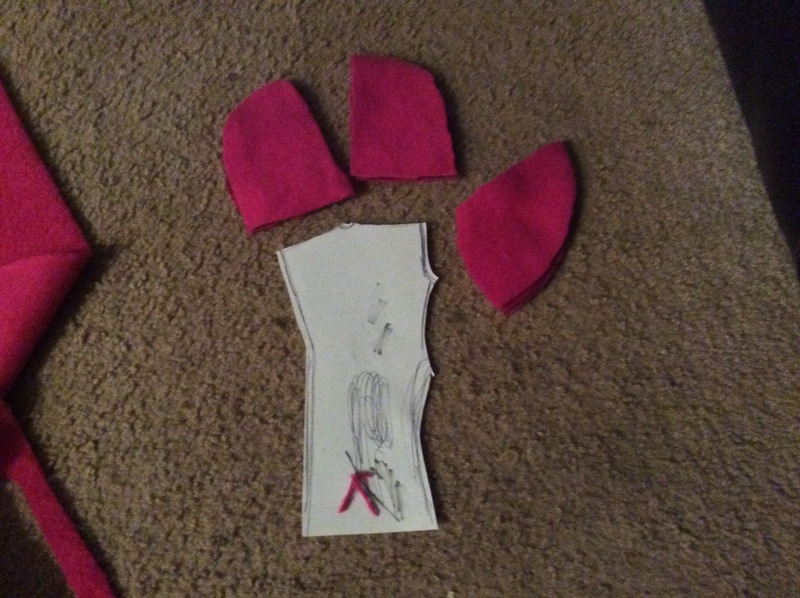 Currently making my first fursuit! If anyone can recommend me makers that can make a variety of species especially rodents I'd really appreciate it! I want to start planning to get one. MeanGreenCheeseMachine is a fairly unknown maker. They're pretty young, and they've done rats before that turned out nice. Offhand, I can't think of any others who are known for rodents. CandiFursuits (who I'm planning to commission) and ARoccoSuits are cheap and have a lot of experience. I'm sure both would be good options. Here's a few photos of my fursuit. I made her myself! This was a public outing near easter, got a lot of good responses. (and a few bad from adults, hah.) 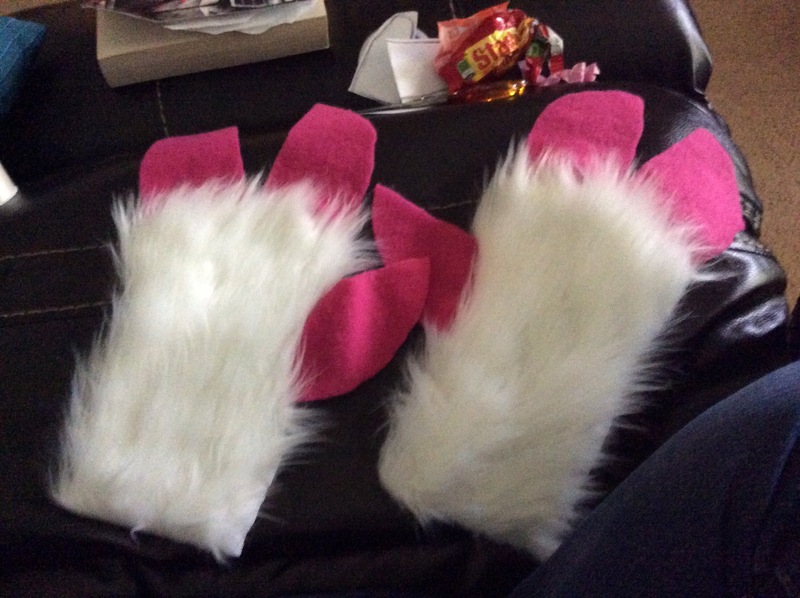 Since then she's gotten feetpaws, armsleeves, and a new tail. She'll have her hair tuft soon. Reminds me of mine! SO I LOVE IT!!! Can you send me a walkthrough of how you made them? I'm gonna make Jersey Devil, and want cloven hooves. Please PM me. This was the pattern I used. Spread your fingers and your thumb as far as you can and trace, and then draw the lines where the hooves go. 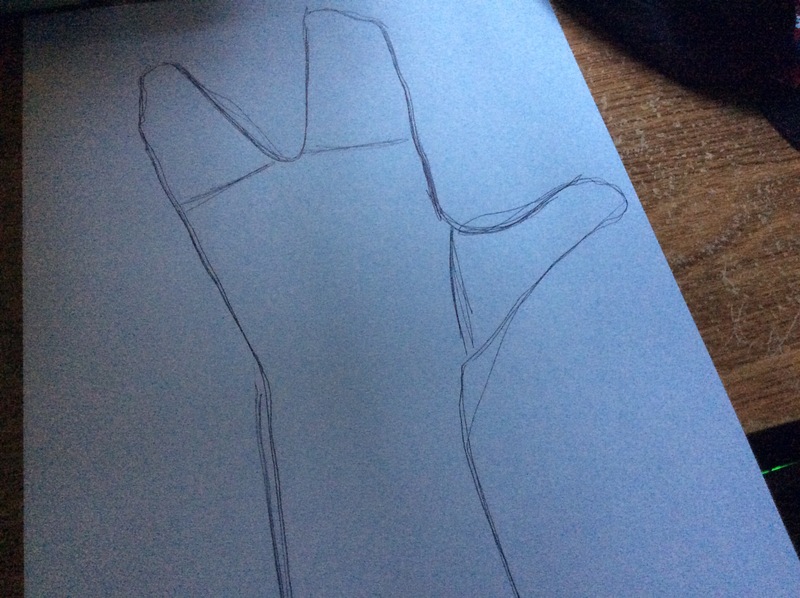 I put a bit of a curve where the thumb is. Then, cut those pieces out. Obviously, fur goes down, like on a real animal. You can just flip your pattern over for the other side, but I probably don't need to mention that. Make sure to mark which side of the hoof your parts are! 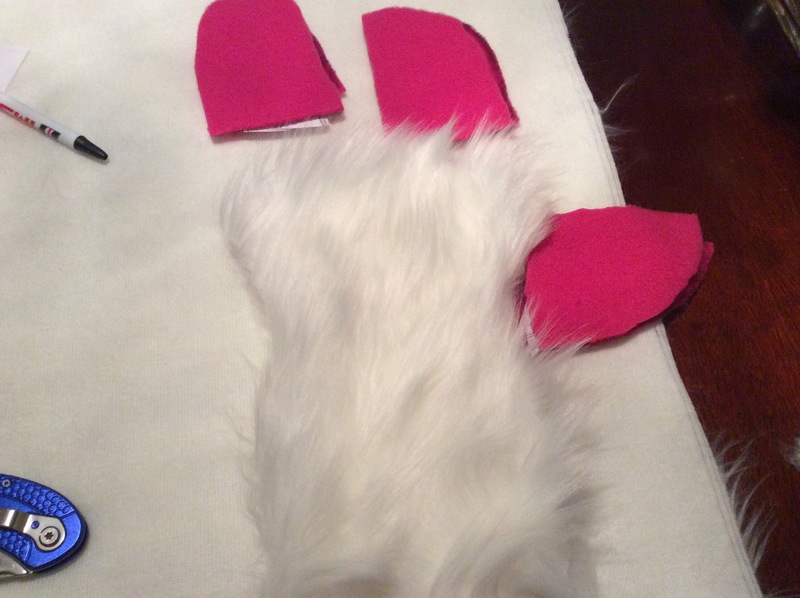 After you cut out your pieces, sew each side together, so you'll end up with two sides of one hoof. I used a blanket stitch. After this, you can sew it all together. Make sure to use pins and whatnot to make sure you don't trap the fur.